Call it Trash, Garbage, Refuse, Discards, Waste, Rubbish or Scraps. If it could talk, it would speak volumes. Volumes about what we buy, how long we keep things, how easy it is to get our stuff repaired or find it new homes. 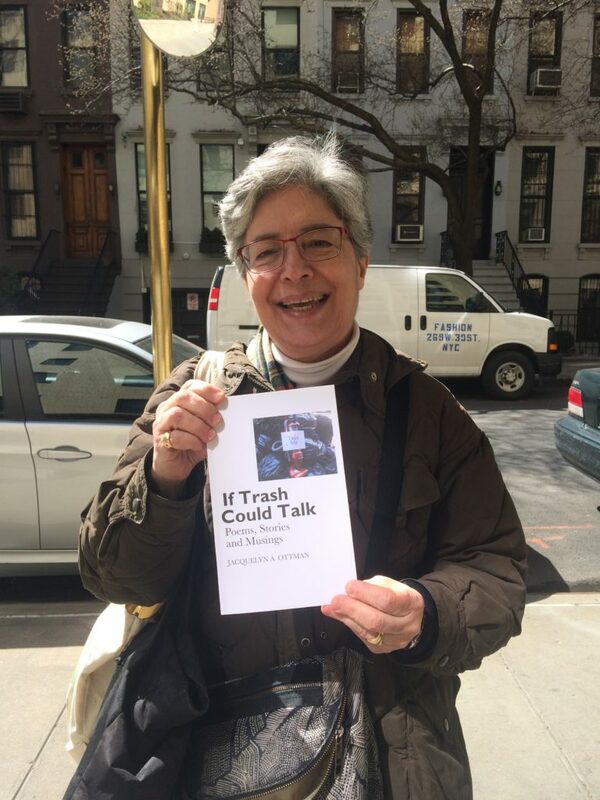 If trash could talk, it would also speak volumes about why we should avoid generating it all in the first place. I’m Jacquie Ottman. One of the reasons why I founded WeHateToWaste.com is because I’m obsessed with eradicating trash and ending wastefulness. As you know from reading the many posts that we have been sharing up here since April 2012, I celebrate creativity, resourcefulness and ingenuity. I live a trash-free life, joyfully and soulfully. 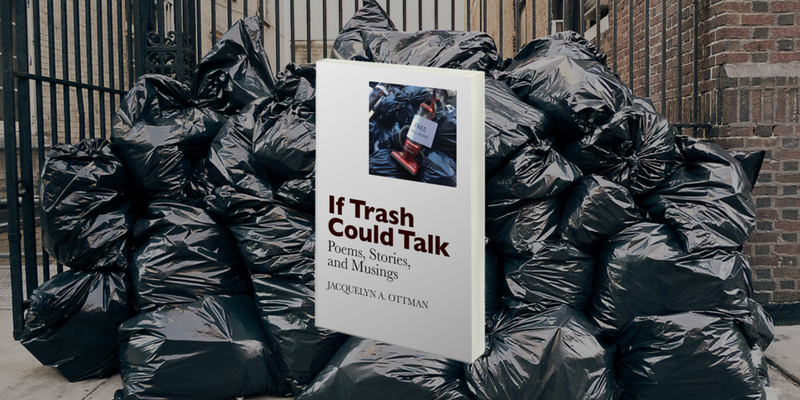 Now I’m delighted to talk even more trash together with the readers and visitors to WeHateToWaste.com, via the publication of my new book. I wrote If Tra sh Could Talk for YOU. Anyone and everyone who’s ever plucked a board game from the trash, taken home a doggie bag, rummaged through a vintage sale, or unabashedly served a leftover to guests. If Trash Could Talk reflects my life spent to date dumpster-diving and flattening toothpaste tubes, turning Palmolive liquid bottles upside down, and eating every last bite. It reflects my laser-focused observation of trash culture in my hometown of NYC. I’ll bet that you will be amused, delighted, intrigued, challenged, empowered, energized, and creatively provoked by each of the 60 entries in the book. Grab a copy and pick up some new ideas to use up, pass along, recycle, upcycle, swap, barter, repurpose, fix, mend and more. Be prepared to smile, laugh, get courageous — and recognize yourself in its pages. Don’t be surprised if you find yourself wanting to immediately share its contents with friends, family and the neighbor down the hall. Watch a live poetry reading, get on our mailing list to stay posted about upcoming events, send us a Trash-y Story or Image of your own. 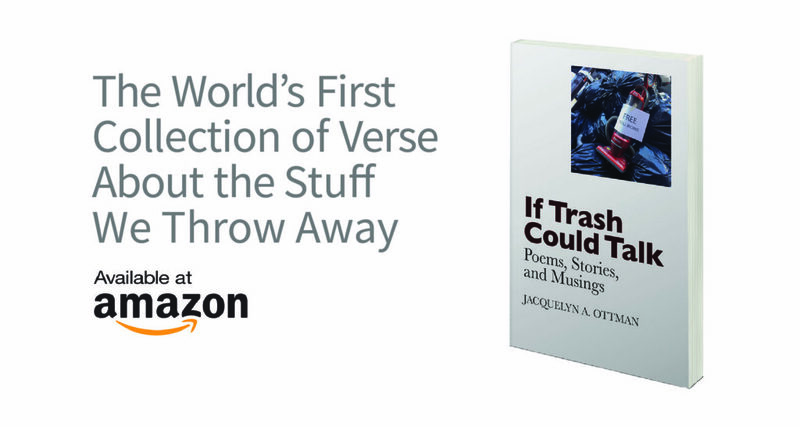 Read some poems to a group you’d like to move to eradicating waste. Hopefully you will be inspired to share some stories of your own. Got a group you’d like me to read some poems to? Let me know. I want each and every waste-generator on earth (that’s every human on the planet) to see the value in the trash, stop generating so much of it, and live joyfully and soulfully too. Of course, you can grab a copy on Amazon.com in paperback or (trash-free) Kindle version. It was an honor to work on this book! Would recommend for anyone and everyone!